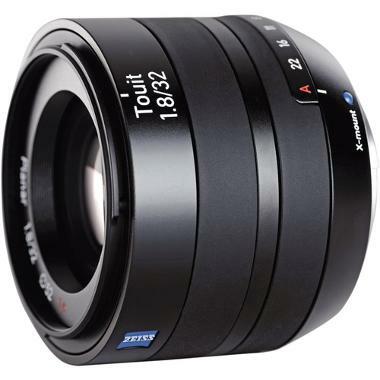 The Zeiss Touit 32mm f/1.8 Fuji X-Mount Lens features a metal lens barrel with rubberized control rings for high precision when working in both auto and manual focus. The build is further helped by the rigid metal bayonet mount, which ensures accurate alignment. This lens features a Planar optical design that works to eliminate a variety of aberrations and distortions in order to produce an image with high clarity and sharpness. Additionally, Carl Zeiss T* anti-reflective coatings have been applied to all lens surfaces to reduce reflections, lens flare, and ghosting to produce imagery with high contrast and color fidelity. This lens is ideal for portraits and street photography. • This lens is compatible with X mount cameras. The focal length equivalent in 35mm format is 35mm. • This lens has an aperture ring which much be used to change the aperture instead of the wheel on the back of your Fuji camera.